Battery swap, solar roof, conveyor floor, glass cab, and more. Tesla has an opportunity to reinvent the semi truck. Tesla is known for their fast, luxury, long-distance EVs. This month they are shipping their mass production Model 3 and branching into a new market. This fall they will be showing off their new venture into semi trucks. Tesla has scheduled the big reveal event for their all-electric heavy-duty long-haul semi truck in September of this year. Until this event, we are not likely to know much about the vehicle. Let's look at the market requirements and see if we can use this and what we know about Tesla's first principles approach to make some guesses about the Tesla Semi. Then, for fun, we'll round out the list with some things that would be cool to see. Musk says it will be heavy duty, how heavy? He said it will be long range, how long? Below we'll try to put bounds on these superlatives. How Long Is Long Range? How far will Tesla's semi truck need to go on a single charge? Driving for 11 hours at 60 MPH is 660 miles of range. At first glance, this seems like an impossible range. It's more than double the range of Tesla's longest-range vehicle on the roads today. Is it possible? For comparison, consider that BYD has a 60-foot bus with a 270-mile range. To achieve this, they use a 547 kWh battery pack. Assuming Tesla's semi would have a similar efficiency as the bus, the semi would need about 1300 kWh in its battery pack to achieve a 660-mile range. That is the equivalent to 13 packs in a Tesla Model S 100. That is a massive battery pack, but not impossible. How Heavy is "Heavy Duty"? In the trucking industry, heavy duty generally means Class 8. A Class 8 truck has a total weight limit of 80,000 pounds. Typically the load maxes out at 40,000 pounds with the truck itself weighing at ~35,000 pounds. By this definition, a Tesla semi would need to be capable of carrying the same 40,000 pounds of payload. Based on the few scraps of information that we have, to be considered long-range and heavy duty, our best guess is that this vehicle will be capable of 600+ miles range and 40,000 pounds of payload. Tesla has reinvigorated the auto industry. 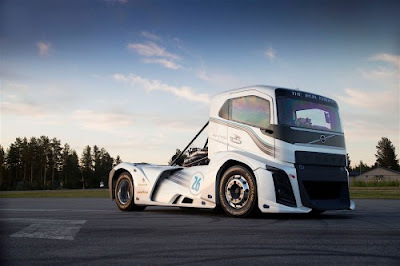 The trucking industry is now on their radar. 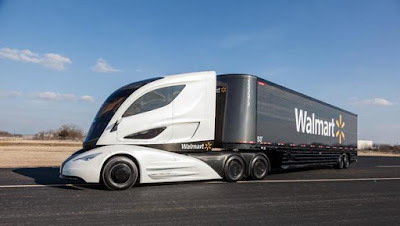 What other cool things might Tesla do in the semi truck space. The trailer that semis pull has been generally ignored by the industry. It is just something that the truck connects to. It has been an idle passenger. Tesla could change this. What if the trailer had motors of its own. We know that the Tesla semi will be using “a bunch” of Model 3 electric motors. If these are placed on the trailer as well as the truck, there are a lot of cool things the trailer could do. If Tesla is going to use the Model 3 motors, it will need several of them. Putting them on the trailer as well as in the semi would allow for more power and control. This makes the trailer a vital part of the vehicle system. Once the trailer has its own motors, it makes sense for it to have its own batteries too. If they are going to put 13 cars worth of batteries someplace, the floor of the trailer seems like a place with ample room. Now that the trailer has its own motors and batteries, there are many more cool things that could be done with the trailer. Imagine a yard where the trailers can be summoned. To do this, the trailer would need its own camera system, so let's put 8 or more cameras around the trailer. With the independent motors, the trailer would be able to move in ways that are impossible when they are being towed by a semi. For example, they could turn in place like a tank. This would allow for maneuverability that is important in crowded yards to move to loading docks and connection points. Tesla has tried battery swap before and some people have speculated that the idea will be resurrected for the semi truck. To me, it seems unlikely that they will retrace this ground, at least not in the same way. Above we have two assumptions: one, the vehicle will have a ~1300kWh pack and, two, some (perhaps a majority) of these batteries will be in the trailer. If these assumptions (or something like them) turns out to be true, then here's an interesting possibility: What if a driver could pull into a loading dock, drop off a trailer with a depleted battery, hook up to a trailer with a fully charged battery and get back on the road. Depending on the split of the battery pack (say 350/950), this could restore a majority of the vehicle's charge in just a few minutes. If the load needs to be transferred from the depleted trailer to the charged trailer, there are many options. With a flatbed, the cargo could be stored in a standard shipping container, then moved from trailer to trailer with a crane. 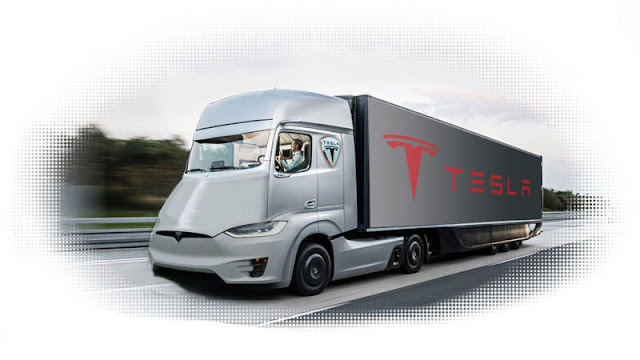 Another option would be for the Tesla trailers position themselves next to each other and to have a conveyor floor on the trailer to slowly transfer the container from one trailer to the other. On a car, you don't have a large roof and solar is just not that effective at adding significant range to the vehicle. You are far better off spending that money to put solar on your home, if you are interested in powering your commute with the sun. A semi truck is another story. The conveyor floor mentioned above is an option for flatbeds, but there are other options for enclosed trailers (dry vans, and refrigerated trailers/reefers). An enclosed trailer is typically 45 to 53 feet long and the width is 92 to 98 inches wide. For a larger trailer, this is over 400 sq ft; that's a large roof, large enough to put about 8kW of solar panels on the roof. Depending on the sun exposure, this could add 40 miles of range to the battery pack each day. For refrigerated trailers, these solar panels could be used to keep the contents cool without depleting the range of the truck. I'm sure Tesla will have some surprises for us in September. Tesla is known for their glass roofs. The Model X has the largest windshield of any passenger vehicle currently in production. We are likely to see a plentiful use of glass on the semi too. The big screen that Tesla is known for will also likely be in the semi with a new utility. The cameras that surround the cab and trailer could also give the driver a view of the lane next to them or a view of blind-spots. Air suspension - this would raise and level the trailer to align it to loading dock platforms. This is a common feature in many trailers. Loading docks are typically anywhere from 48 to 52 inches high. Tesla has air suspension in the Model S & X, the semi and trailer will likely have it too. Ramp - Ramps and lift gates are common features in many trailers today. Tesla is likely to have these options too, but what innovation twist might they add? About 250,000 semi truck cabs are sold in the US each year. And the US is just one of many markets of course. The average selling price for a cab is ~$155,000. Tesla's semi is likely to cost much more than this, but it will be far cheaper to fuel and there will be far less maintenance. Fleet owners are generally more concerned with the total cost of operation. Lower fuel and maintenance costs would give them headroom for a higher monthly vehicle payment. And after the vehicle is paid off, they will still enjoy the lower monthly fuel bill and increase their profit for moving goods. This is highly speculative, but it's fun to guess. We'll learn more in September and there may be some more hints in the quarterly financial calls or Musk's tweets. We'll see if any of these guesses turn out to be accurate.